Peace & Dignity runners arrive at San Pedro Park in San Antonio. 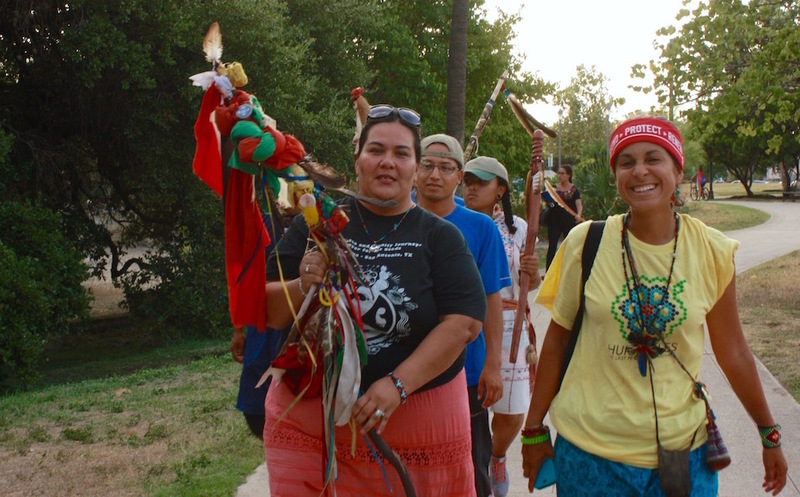 In the foreground are organizer Jennifer Alvarado (left, with staff) and key organizer and runner Vanessa Quezada. Below this article is a gallery of photos of Peace & Dignity Journey participants, some thoughts they expressed about that effort, and a recording of a song that greeted them. It’s considered the fulfillment of a prophecy dating back 500 years: the reuniting of indigenous communities from the north and the south, peoples fractured by the forces of colonization. 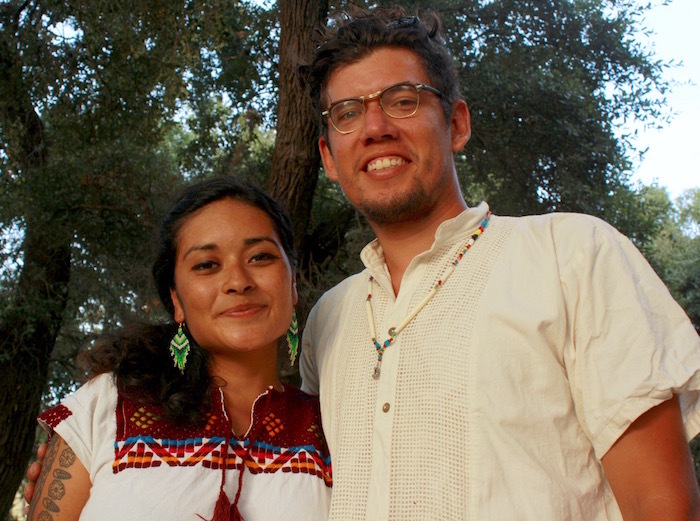 The Eagle and the Condor – symbols of both the northern and southern American communities, symbols of the intuitive and feminine and the technical and masculine – are believed by many indigenous peoples to be coming back into harmony as a reemergence of traditional values of Earth stewardship begins to dislodge dominant industrial and profit-driven priorities. 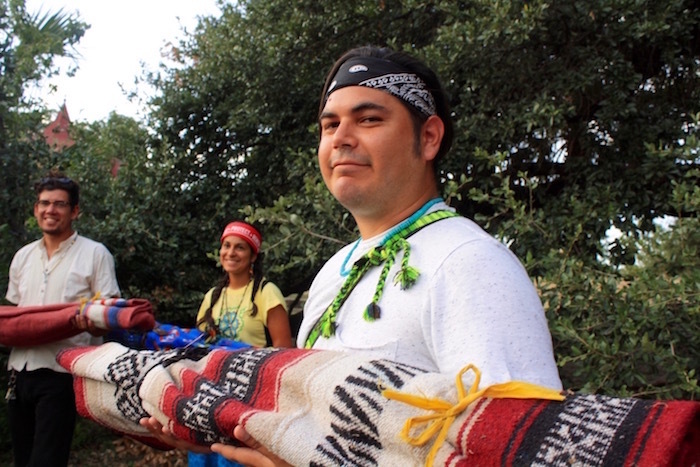 Last month, about a dozen runners and support staff were welcomed to San Antonio with a ceremony at San Pedro Park, where the headwaters of the San Antonio River are located. “Welcome to Yanaguana, the sacred spring,” one local elder called out as the sun crept beneath the cypress leaves and the wind began to rise. Peace & Dignity runners and organizers, joined by community and family members, formed a circle as a conch shell was blown and sage smoke began to envelop the group. There was to be dancing and prayers and eating. The group came together, said one attendee, to “see our common struggles and recognize our common blessings.” Curious onlookers rolling up their yoga mats at a nearby pavilion began to approach, stopping at a respectful distance. Peace & Dignity’s 2012 run was dedicated to awareness of the sacredness of water; this year’s trek spotlights the importance of seeds, the source of human life, and seeds collected during the run were laid out at the eastern end of a huge mandala assembled at the circle’s center. Reflecting on cascading, human-caused, global crises – global warming, biodiversity collapse, a decimation of ocean life – runners and organizers emphasized that indigenous peoples have espoused the need to live in balance with creation from the earliest times – a message they say has grown only more crucial. The message of the run, the message of the seeds, holds that violence against the earth and violence against women are intimately connected, participants said. In fact, among the many staffs the runners collected on their journey – unique and often ornate objects that carry the prayers of their origin communities – is a lead staff: One adorned with large knots of green and red fabric, a small feather at its top. It was carried into the circle first, representing the many murdered and kidnapped indigenous women and girls. 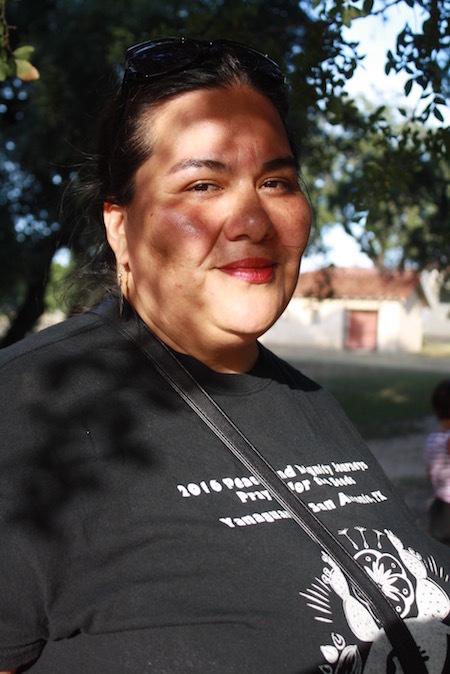 Coahuiltecan-Apache run supporter Jennifer Alvarado carried it forward, tears on her face. In Canada, there are thought to be as many as 4,000 missing or murdered indigenous women and girls – a number many times the murder rate of non-indigenous peoples there. 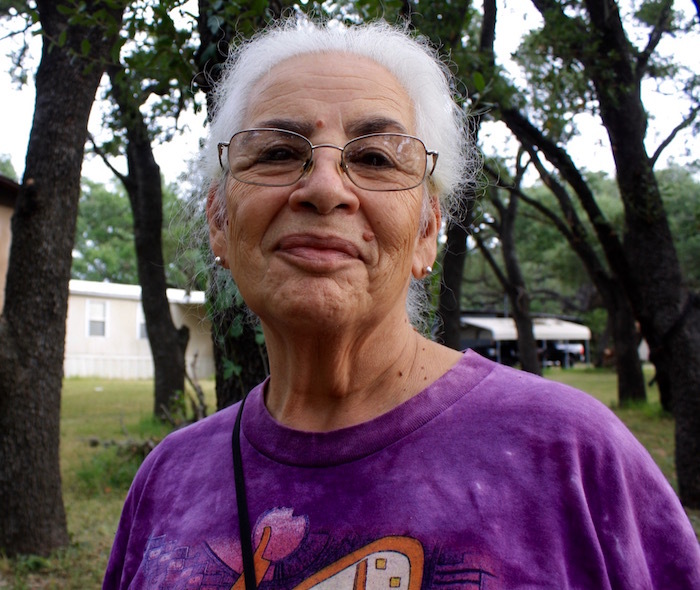 Closer to home, Bexar County, where San Antonio is located, is one of the leading Texas counties for domestic violence. Across the Rio Grande, women are being targeted and killed at epidemic levels: Six women are assassinated in Mexico every day, with only one in four cases ever investigated and less than two percent leading to a conviction. 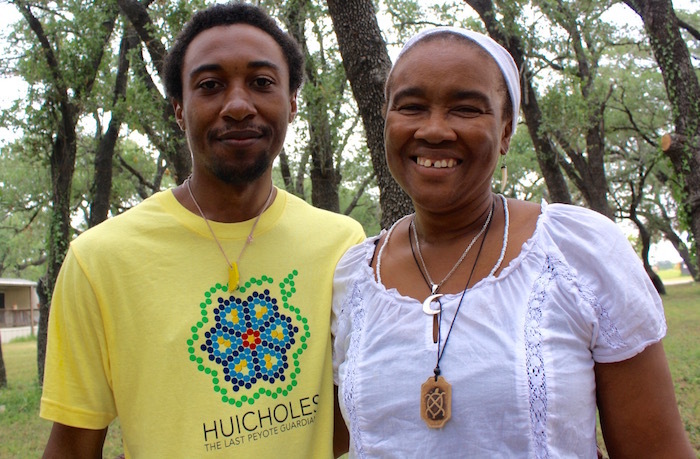 As “land defenders,” indigenous peoples often lead direct action campaigns against extractive industries across Canada and are increasingly assuming leading roles in related U.S. protests – including shutting down pipeline construction in North Dakota and organizing a sizable protest in Eagle Pass, Texas, opposing the expansion of a borderlands coal mine. 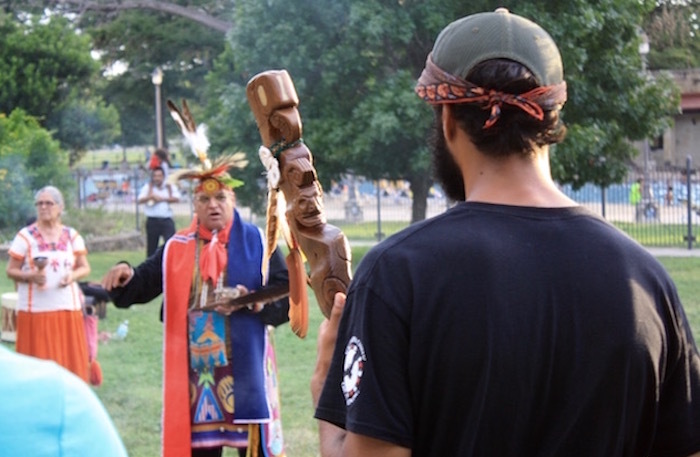 Indigenous voices have also begun to assume leading roles in major climate actions, such as 2014’s People’s Climate March in New York, thought to be the largest such demonstration of the climate movement. The Peace & Dignity runners on their way to join their South American counterparts for a three-day ceremony in Panama ran along the West Coast. But they have also run the Eastern seaboard, through the Midwest, and across the Gulf Coast. Along the way they have met with numerous Native communities, nations, and tribes. The run is a prayer, participants say, that gathers the hopes and needs of every community touched. Around Fort McMurray, Alberta, for instance, Native residents (“First Nations” people in Canadian usage) have sought for years to call attention to what they say is the harm done by the region’s booming oil-sands development to wildlife, water resources and the land. A government-funded study by university researchers, released in May, reported elevated levels of chemical contaminants, which might cause health effects, in some traditionally harvested foods. Part of the prayer of the 2016 run, organizers say, is a call not only for a return to Native values, practices, and the recovery of indigenous languages, but for a return to local agriculture, Native foods, and the preservation of the integrity of traditionally-sourced seed. It was not surprising then that the contentious subject of genetically modified crops came up. While several scientific bodies in the U.S. have concluded that they are safe for human consumption, the World Health Organization says such determinations should be made on a case-by-case basis. And debates continue over whether genetically modified crops increase or decrease use of harmful herbicides and pesticides. 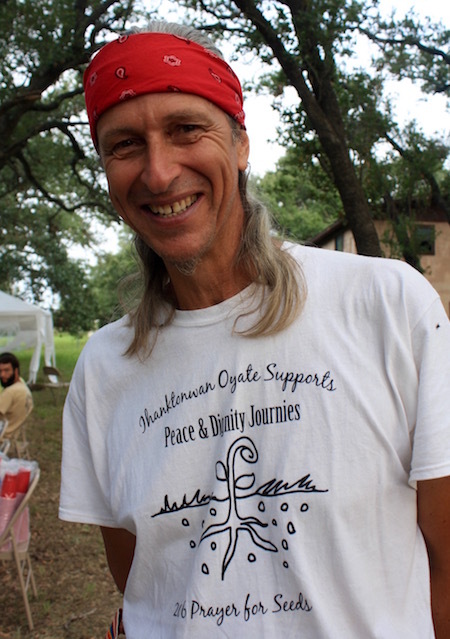 Texas Climate News contributing editor Greg Harman photographed and talked with runners and organizers of the Peace & Dignity Journey at the springs in San Antonio’s San Pedro Park and during their two-day stay in nearby Floresville, 30 miles to the southeast. 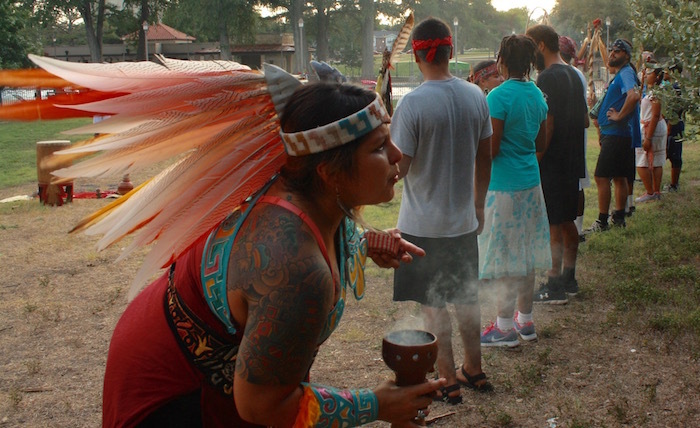 Here’s a selection of Harman’s photographs, plus participants’ thoughts about the run and a recording of a song by San Antonio resident Emma Ortega, one of several Native American elders who welcomed the runners and offered their prayers and encouragement. Runner Teo Barocio-Asterisk holds his staff as Isaac Cardenas, elder of the Tap Pilam Coahuiltecan Nation, greets the runners. Elder Linda Ximenes is pictured in the background. 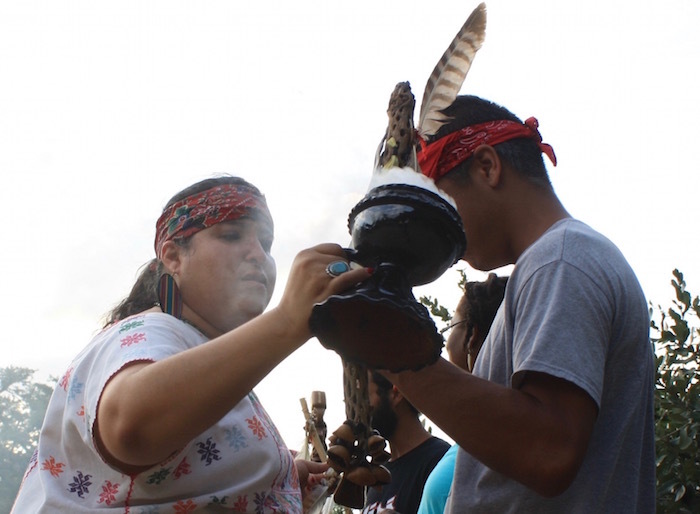 Karla Aguilar, development coordinator at American Indians in Texas, blesses runner Diego Romero, from Boriken, Puerto Rico. Laura Rios Ramirez checks in on her child (not shown) during the ceremony at San Pedro Park. 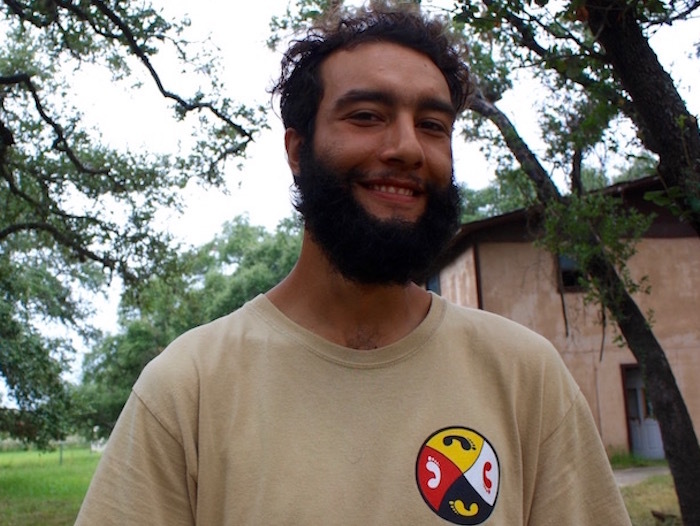 Journalist Greg Harman is a contributing editor of Texas Climate News and graduate student in the international relations program at St. Mary’s University in San Antonio.